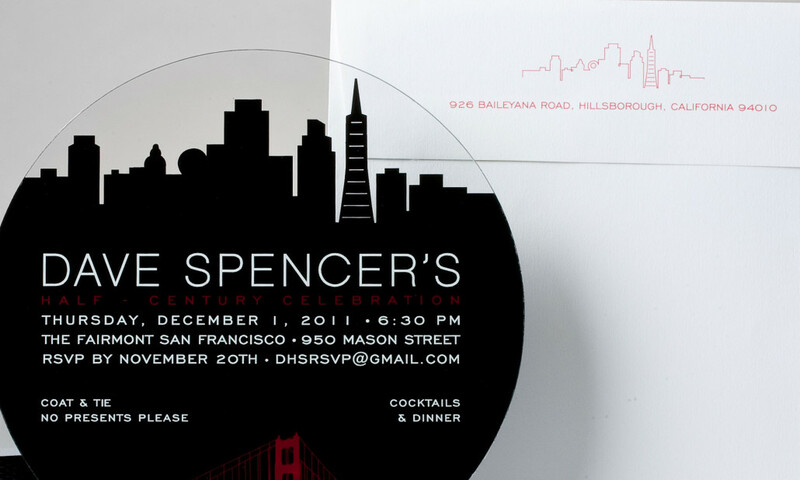 Invite guests to celebrate a special night on the town with this city-inspired invitation. 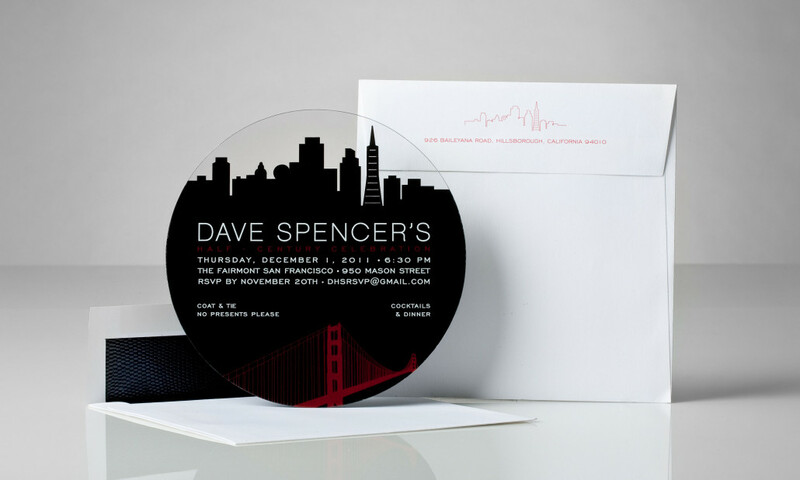 Custom San Francisco skyline is silkscreen printed on a flexible plastic circle. Alternate city designs are available.